Ranked among the top 50 most influential textile executives in the 20th Century by Textile World Magazine, Dalton L. McMichael started four different textile firms during his 60 years in the industry. Junior Achievement The successful textile companies were Madison Throwing Co., Macfield Texturing, Vintage Yarns and Mayo Yarns. Born on March 10, 1914 in Rockingham County, Dalton was in the midst of an industrial center for chemical and textile firms. He graduated from the University of North Carolina at Chapel Hill in 1938 with a degree in accounting. He walked into Burlington Industries in Greensboro and asked for a job. He was hired in the Cost Accounting Department, then moved tp sales in the Hosiery Division. He moved to New York for three years. During that time, he met W. J. Armfield, who was the general manager of Burlington's hosiery division. By the end of World War II, the invention of nylon had revolutionized yarn texturing. So Armfield and McMichael formed Madison Throwing Company in 1946 with 25 employees in Madison, NC. Later in 1954, the two sold an interest in the company to Burlington. Madison Throwing grew to 3,000 employees before becoming a wholly-owned subsidiary of Burlington in 1970. Armfield's son, Billy, had joined Madison Throwing in 1959, eventually becoming president. So after the company's sale, Dalton went into business with Billy Armfield, creating Macfield Texturing Company in 1970, which was sold to Unifi in 1991. In 1982, McMichael and other industry leaders formed Vintage Yarns which also was sold to Unifi in 1993. In 1992, Dalton created Mayo Yarns and Dan Valley Yarns. Eventually, these firms were merged and then Mayo Yarns merged with Frontier Spinning in 2000 when Dalton retired at 84 years old. In 1998, McMichael received Textile World's Lifetime Achievement Award for his pioneering work in the textured yarn business. Over the years, he has supported many universities, colleges, schools, and healthcare organizations, including Morehead Memorial Hospital (Eden, NC) and its John Smith, Jr./Dalton McMichael Cancer Center, UNC School of Dentistry, UNC Chapel Hill, Elon College, Salem Academy & College, Davidson College and many more. 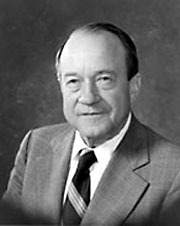 For 16 years, Dalton served as chairman on the Madison Schools Board of Education. He was married to Dorothy Ragsdale and they had four children. After Dorothy died, Dalton later remarried Hanne Andersen.